Have you owned an Amazon Kindle Fire for reading various books and getting bored with such restrictions? want something interesting in your Kindle Fire? want to transform your Kindle into a regular Android tablet? If yes, and this interesting thing nothing but Google Playstore. 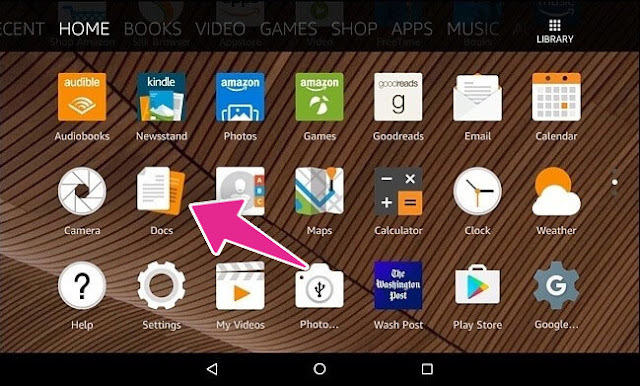 Now think, if you can use Google Play on your Kindle Fire to access lots of stuff not only books but also Google Apps including Books, Music, Google Docs and much more. You should use Google Play app in Kindle because it gives you access to the catalog of various Android applications as we told above, without Google Play you can access only a few books from the Amazon but after installing Playstore you can access any book moreover read them and even you can download Scribd books world's popular catalog of any kind book, it's also called The Netflix of Books, Scribd will offer you the various books documenrary to comic and motivational to fictional, so if you're not using Scribd give it a try you'll love it. You can take more benefits of your Kindle Fire and make it a more usable device in your devices list. So today we're gonna show you how to install Google Play and Play Services on Amazon Kindle Fire or Fire HD 8 just follow this easy guide and you'll get Playstore on your Kindle. Yes you'll get some advantages if you install Google Play it's like transforming your Kindle Fire in to and Regular Android tablet then you'll be able to play games and handle your social profile, you can watch Youtube, you can download the Google Chrome which would be the great alternative of the Stock Silk browser. If you're getting tired of using the default launcher of Kindle then you can download a new one and set up the new appearance. You can replace your stock File manager with another like Google File manager (highly recommended). You'll get all these advantages without rooting your Kindle device so there shall be no loss. It's just like flashing Gapps in a rooted Android device when you installing custom ROM. 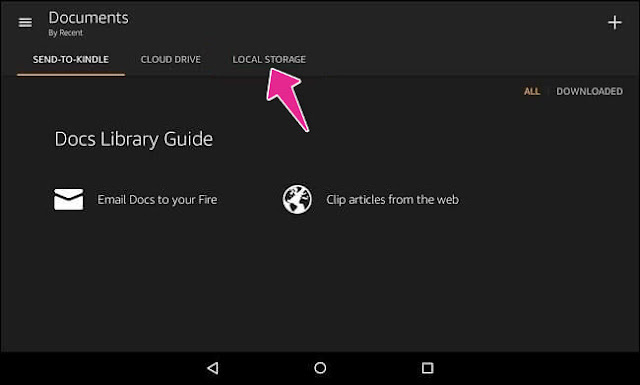 So you just need to follow these simple steps to install Google apps on Kindle Fire. 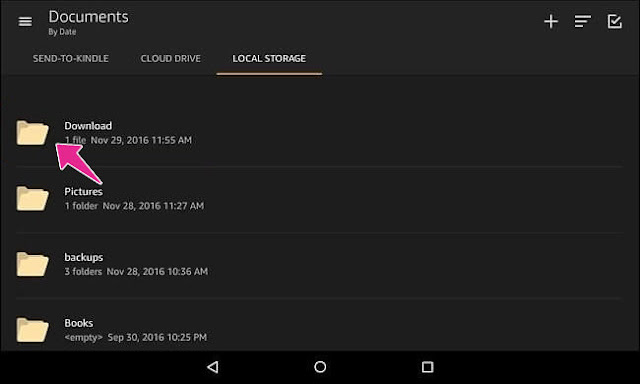 Step #2: Now open your browser and download the these 4 APK files (GAPPS) and save these APKs in your Kindle Fire. Step #6: After installing these 4 apk files now reboot your Kindle Fire. Now there you should see the Google Play app, open it and start using just Sign in with your existing Google account or create a new one. 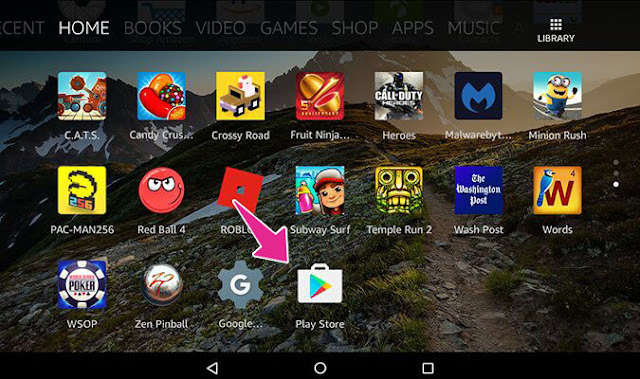 So this is the super easy guide with simple steps to install Google Play store in the Amazon Kindle Fire. You can also follow this guide on Kindle Fire HD too the apk files are compatible with another version. If you want to uninstall the Play store or want revert back just uninstall the all 4 apk files and reboot your Kindle Fire. it will be removed. 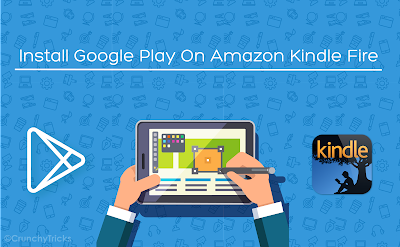 So If you having any trouble installing Playstore in Amazon Kindle then feel free to ask in comments and don't forget to share this guide on social media with others and stay tuned, more interesting guides are on the way.